The running scene in Singapore was lively last year. The big races were bigger than ever. Colorful novelty races kept popping up. Singapore made a good showing in international events. Here's a list of 2013 running scene highlights. At the SEA Games in Myanmar last year, Mok Yin Ren became the first Singaporean male to win the gold for the men's marathon. Singapore last won the marathon gold medal 30 years ago, when Kandasam Jayamani took home the women's gold in the 1983 games. 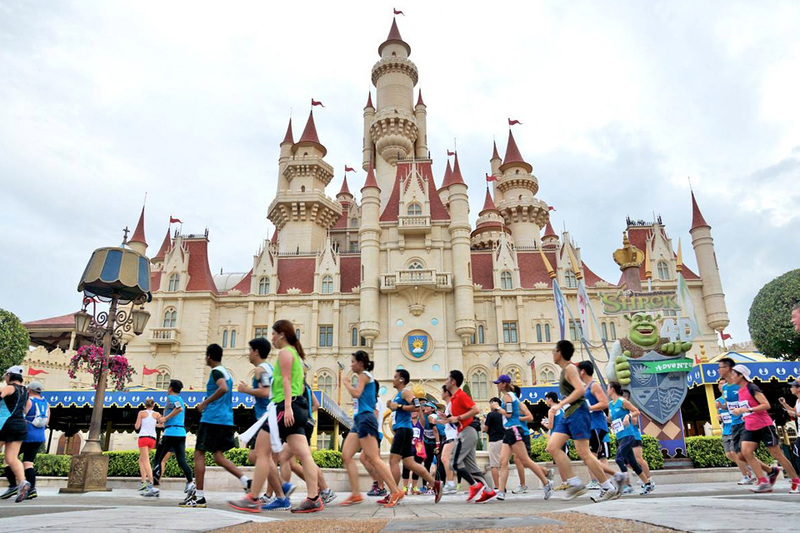 The SAFRA Singapore Bay Run and Army Half Marathon 2013 saw a new Singapore record set for the largest Father and Child Race. More than 1,300 father and child pairs participated in the record-breaking attempt in the Dads for Life 800m Father and Child Challenge. 671 pairs managed the feat, far surpassing the record of 378 set in 2011 at the first edition. The event also draws a 74% increase in participation among NSmen. On the way to winning the gold at the SEA Games, Mok Yin Ren set a new national record in the half marathon clocking 1hr 7min 53sec at the Ageo City Half Marathon in Japan. Even with that timing, he could only finish 300th of the competition. 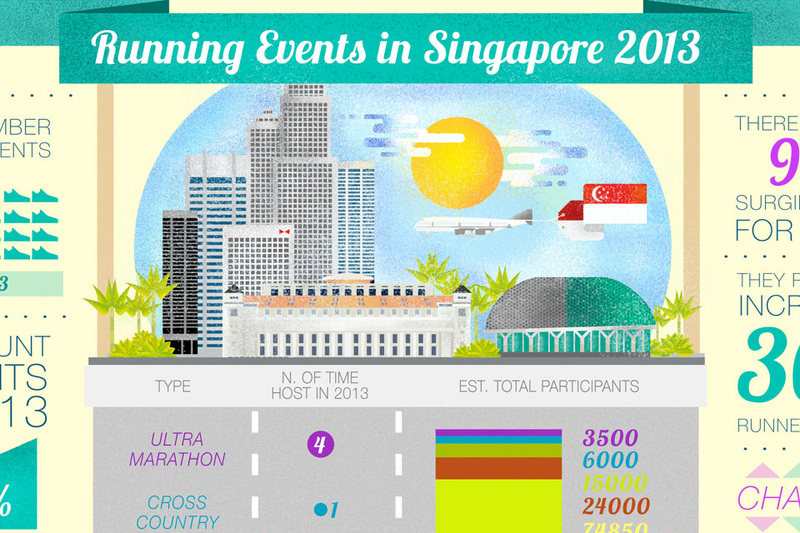 In December, 54,000 runners flocked to the Standard Chartered Marathon. Standard Chartered ranks with the New York and London marathons as an IAAF Gold Label competition. Luka Chelimo Kipkemoi from Kenya, a virtual unknown, won the men's marathon. Sharon Cherop won the women's marathon, following her 2012 Boston Marathon win. The top marathon spot at 2013's Standard Chartered Marathon was briefly given to 43-year-old Tam Chua Puh, who was immediately disqualified when it turned out he had missed every check point. He revealed later that all he wanted was just the finisher’s T-shirt and medal. On 7 December, nearly 10,000 participants descended on F1 Village for Singapore's first party night 5km run. Runners were doused in neon illumi glow water and given light sticks provided by the organizers. Free glow-in-the-dark photographs of runners at the end of the race outranked finishing times. 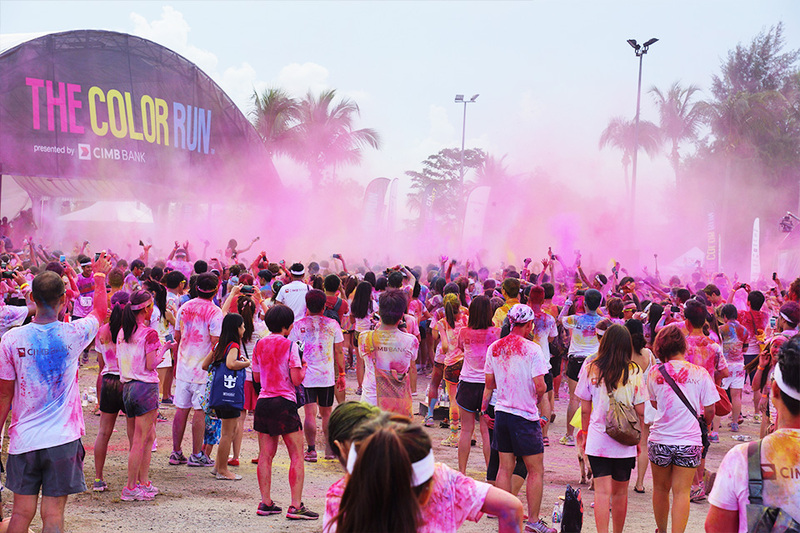 In August, the much-anticipated Color Run arrived on Singapore's shores. The race, which began in the U.S. in 2012, involves runners being doused with colour and throwing coloured powder at one another as well. In Singapore, 16,000 runners competed. 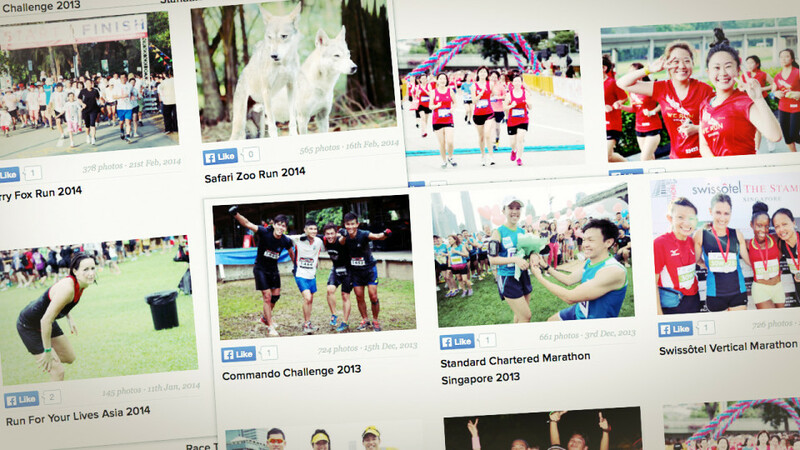 Singapore's most popular corporate race celebrated its 10th year in April. A record 404 companies fielded teams wearing their company t-shirts. Over 16,000 runners competed in the 5km race and stayed behind for entertainment and networking afterward. The Cold Storage Kids Run in Padang is one of the most popular of Singapore's children's races. In May, 5,000 kids competed. The race added a 3GEN (3 Generations) Family Chase last year. The Sundown Marathon in Marina Bay just keeps getting more popular. The largest night race in Singapore attracted 20,000 participants in June. For the first time, the races stretched over 2 nights to accommodate everyone. Over 1,000 children showed up for the POSB PAssion Run for Kids in 2013. Though the race was rained out in the morning, there were alternative activities, and the Family Walk later that day had 4,000 participants. The top 5 kids’ runs in Singapore are the POSB PAssion Run For Kids, the Cold Storage Kids Run, the 750m Kids Dash at the Standard Chartered Marathon, the Real Run and the Safari Zoo Run. Each is a novelty race in its own way, though the kids really do compete to show their best times. The August RunNUS marathon through the National University of Singapore campus was started by the Students Sports Club in 2007. The race raises money for financially needy students, and the challenging campus course attracted over 700 runners in 2013. Mok Ying Rong, 19, won the 15km title at the Race Against Cancer again last year. Team Mizuno won the gold medal in the 10km Corporate Team Challenge, but the excitement was in the fight for second place. The NTU and NUS aquathlon teams came in seconds apart, with the NTU team in the lead. 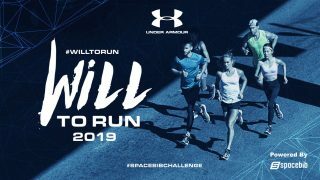 In October, Singapore became the first country to host its own version of the U.K.'s famous Bloomberg Square Mile Relay. Singapore's downtown skyline was the evening setting for an eccentric course that involved many stairs, turns and diversions. Macquarie Bank won out over a field of 160 competing teams. The towering Swissotel building has been the site of a vertical marathon since 1987. At 73 storeys, 226 metres and 1,336 steps, this is one of the steepest marathons ever. 77-year-old Teo Chuan Hock was 2013's oldest participant. 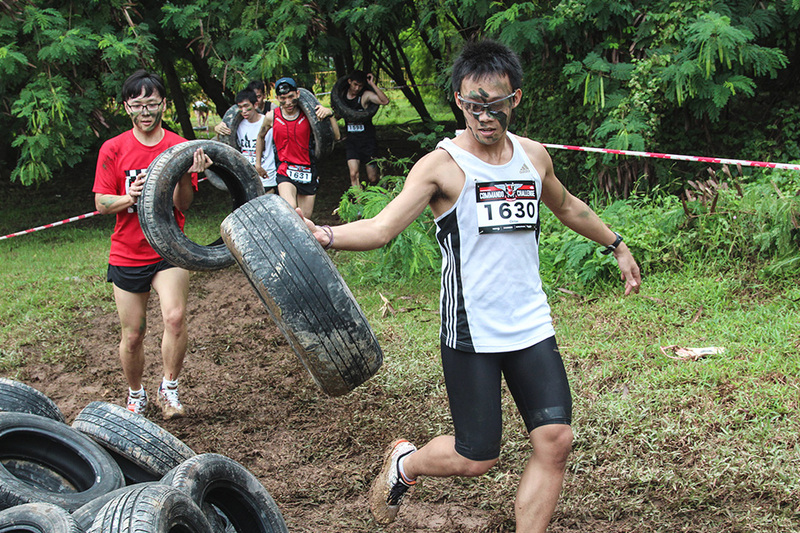 In December, the Lion Dash took place in Tampines Bike Park. The extreme obstacles course was organized by Adam Bauerly from the U.S. Described as more mentally than physically challenging, the race attracted a fair-sized and brave (or foolhardy?) crowd. 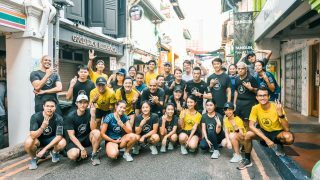 A week later in December, a crowd of 6,000 people accepted the first Commando Challenge at the former Tanjong Pagar Railway Station. Billed as having the intensity of Special Forces training, the race featured 25 obstacles, including hurdles, ropes, ice pools and plenty of mud. Singapore President Tony Tan Keng Yam handed out bull figurines to the sponsors of the Singapore Exchange's 10th annual Bull Charge in 2013. The 5Kkm race raised $3 million for charity and attracted a record 8,000 runners. 5,000 runners were chased by volunteer zombies in Singapore's first Race The Dead in October 2013. The zombie apocalypse run category is growing in international popularity, and set to return again this year. Gen Lin won the 10km distance at the annual Jurong Lake Run in July. Gen Lin was one of a number of Singaporeans, including Ashley Liew and "Blade Runner" Abdullah Shariff, to participate in the Boston Marathon 2013. Thankfully, all of them survived the bombing. Once again, the race year ended with the MR25 Ultra Marathon. 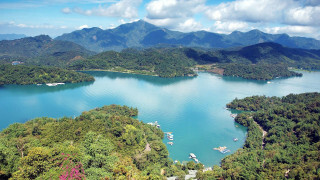 MacRitchie Reservoir, which is popular with joggers throughout the year, is the site of this multi-lap endurance race. We're looking forward to this year's events. 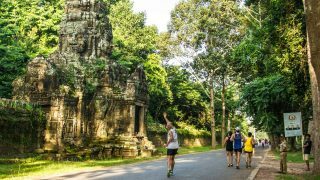 Whether you're looking to best your own time, join a corporate team or take part in new themed runs, there's a race coming up for you. What’s your achievement in year 2013 and goals for 2014? What events are you looking forward to in 2014? Let us know in the comments.